Nearly six months after the deadly Danforth Avenue shooting rampage, newly released details from court documents reveal a startling amount of ammunition was found in the Toronto apartment of gunman Faisal Hussain, along with a number of DVDs by the American conspiracy theorist Alex Jones. Nearly six months after Toronto's deadly Danforth Avenue shooting rampage, newly released details from court documents reveal a startling amount of ammunition was found in the apartment of gunman Faisal Hussain, along with a number of DVDs by the American conspiracy theorist Alex Jones. 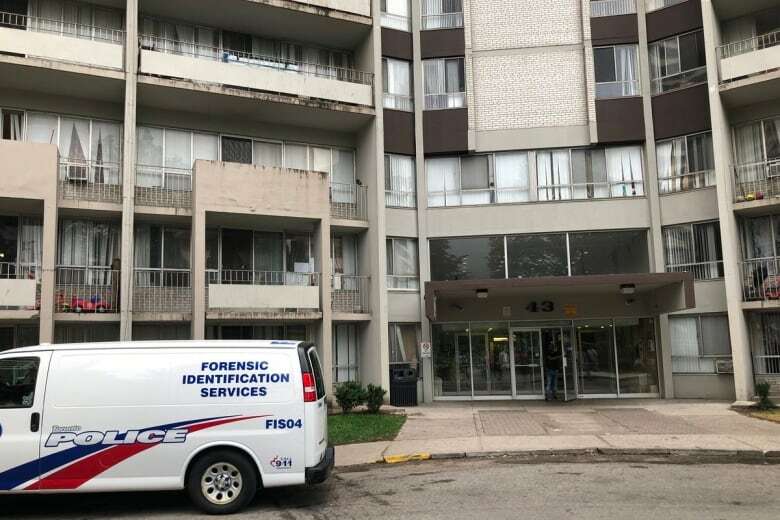 In the hours after the shooting, which claimed the lives of 18-year-old Reese Fallon and 10-year-old Julianna Kozis, police entered Hussain's highrise apartment in the city's Thorncliffe Park neighbourhood. Hussain, 29, died of a self-inflicted shot to the head after a gunfight with officers on the night of July 22, 2018, a police source previously told CBC News. Police found cocaine on his body and a cellphone, still ringing with a call from "home." The court documents — less heavily redacted versions of those released in the fall — don't offer a clear picture of Hussain's motive, but do show he had access to a large cache of ammunition when he left home for the Danforth neighbourhood, never to return. "His anti-establishment conspiracies were picked up by extremists of all stripes," said Amarnath Amarasingam, senior research fellow at the Institute of Strategic Dialogue. The Jones films feed into the view that Western governments are "not to be trusted, that most of what we see is a sham, and that some mysterious powerful elite was secretly orchestrating, for their own benefit, most of the evils that we see in our societies," Amarasingam said. "The 9/11 conspiracy theories are part and parcel of this kind of thinking." Other titles included Painful Deceptions, Iraq for Sale, Weapons of Mass Deception and one bearing the handwritten title "What is Islama." The documents also say investigators found two receipts for cash payments totalling $9,310 to a community housing facility in Rawalpindi, a district in the northern part of Pakistan's Punjab province. Hussain's father told investigators he had taken his son to Pakistan two to three years earlier to visit family. While there, he said in the documents, "Faisal was happy on the trip and did not want to return because people left him alone there." Hussain had no real friends, his twin brother told police. On the day of the shooting, Hussain arrived home around 2:30 p.m. He and his brother talked about Hussain "getting his life together, getting married and getting direction," according to the documents. During the conversation Hussain repeatedly referred to himself as "mentally retarded," before going out to the balcony for a cigarette. Hussain's mother told police her son saw a psychiatrist, while his father told police he didn't have any mental health issues. His brother said Hussain wanted to kill himself and had been on anti-depressants. But while Hussain had no criminal record, as CBC News previously reported, guns, gangs and drugs weren't far away. 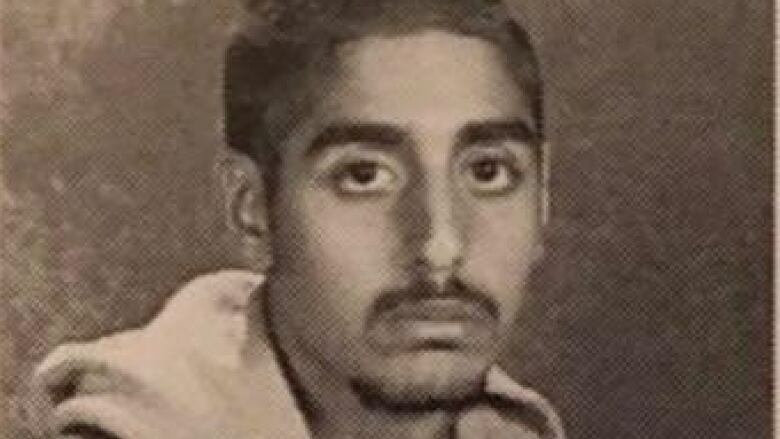 Court records show Hussain's older brother, Farad Hussain, in a coma in hospital since early 2017, had ties to a Thorncliffe Park street gang. 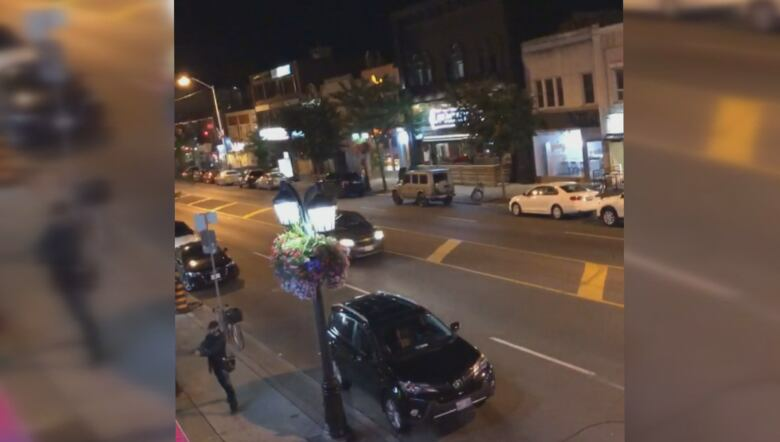 A police source previously told CBC News he may have once possessed the handgun his brother used in the Danforth shooting. As part of their seizure, police also obtained a number of electronics including a laptop, two iPads and various cameras. In the documents, police argued that the "only way of understanding the true extent of what occurred or was planned" was to go through a number of the devices seized. Toronto police did not immediately respond to comment about the status of the investigation, the results of their electronic search, updates on Hussain's motive or if any other charges are outstanding. The province's police watchdog says it intends to release its findings on the case "in the coming days," said spokesperson Monica Hudon.